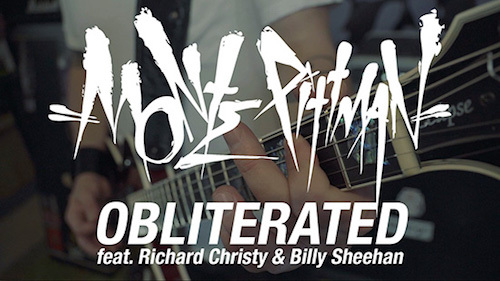 Having released his new album, Inverted Grasp of Balance, last year via Metal Blade Records, Monte Pittman is now launching a performance video for the album track Obliterated, featuring drummer Richard Christy and bassist Billy Sheehan (both of whom played on the album), watch it below. To preview and purchase Inverted Grasp of Balance, please visit, metalblade.com/montepittman. I’ve never heard of Monte Pittman, so I’m not sure if this song is a good example of his music. But, personally, I prefer more guitar melody in a instrumental song.